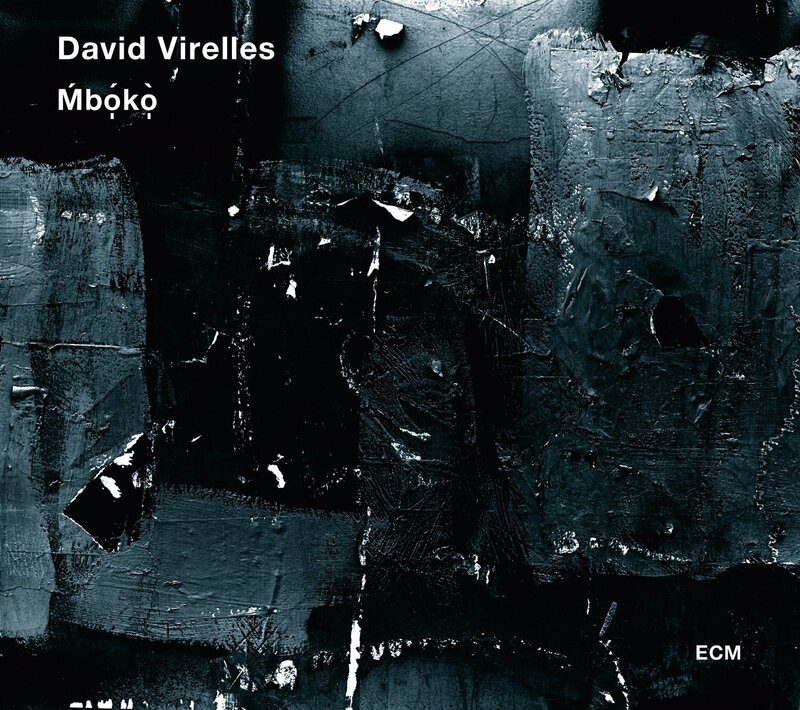 David Virelles first dipped his oar into ECM waters from the vessel of Chris Potter’s phenomenal The Sirens and, more apparently, on Tomasz Stanko’s Wisława. 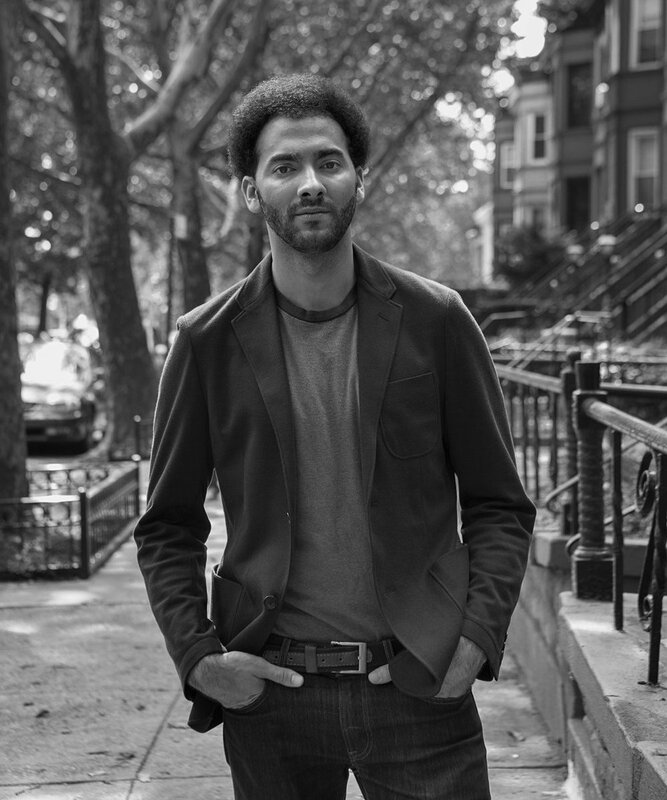 The 30-year-old pianist, born and raised in Santiago de Cuba but now headquartered in Brooklyn, cites a range of musical influences, from Afro-Cuban sounds to Bach to Thelonious Monk. On Mbókò, his first leader date for the label, he taps even deeper origins. The album’s subtitle—“Sacred Music for Piano, Two Basses, Drum Set and Biankoméko Abakuá”—points to those origins while also disclosing its unique instrumentation. The biankoméko is a four-drum ensemble (also including sticks, cowbell, and shakers) of the Abakuá, a fraternal secret society of Cuba with West African roots. Around this ritual core Virelles enlists the services of Thomas Morgan and Robert Hurst on basses (heard left and right of center, respectively), Marcus Gilmore on drums, and Román Díaz on the biankoméko. As an integral participant and circle-maker of the album, Díaz brings his especial knowledge of a talking drum known as the bonkó enchemiyá to spinal effect, around which the nerves of Virelles’s piano parts took organic paths during the music’s genesis. It is a language more ancient than speech, one that flowers through the ritual power of improvisation and makes itself known like a puppet lifted by its strings. Because this album’s multivalent title is its sunrise and sunset, I use its three distinct meanings to divide this review as follows. The Abakuá faith derives from Carabalí beliefs, by way of southern Nigeria. Most Abakuá rituals are known only to initiates, and may involve purification and communion with the dead. According to Professor Alan West-Durán, the Abakuá accommodate two orders of drums—one more symbolic, the other the biankoméko heard here—in their religious practice. The latter are typically associated with dances of the Íremes, a reincarnated soul believed to be present during ceremonies or, in the case of occasional public rituals, with the demonic Ñáñigos. And yet, as William Luis elaborates in his book Culture and Customs of Cuba, the Abakuá Society, contrary to being discriminated as a supposed gang of thieves, is “a religious and mutual aid organization that works in the interest of its members.” Any secrecy surrounding the Abakuá is fundamentally a defense mechanism, a means of protecting their spiritual beliefs in a state of indefinite displacement. The Abakuá identity, in fact, goes as far back as 1836, although Carabalí presence in Havana dates further to the eighteenth century, when the Middle Passage uncoupled thousands of Nigerian slaves from their homeland and plugged them into the Cuban trade circuit. The music of the Abakuá—and, by extension, Virelles’s reimagining of it—wears masks. It does so not as a means of assumption or transposition, but to deepen the experience of self-expression. “Wind Rose (Antrogofoko mokoirén),” for instance, begins in the piano’s depths, a dream of the unconscious given voice through instrumental contact. It’s an awareness of enmeshment in all things, the knowledge that somewhere beyond any personal radius is another world, one step away. We may hear this in the percussion, which gives ground to the piano’s flotation. Only these two forces—ivory and skin—establish a perimeter of mood. Inside becomes outside. Like the sugar cane, the communication between Virelles and Díaz unites stalk and root. It is profound for having no interest in profundity. It steps from the shadows into candlelight in “The Scribe (Tratado de Mpegó),” where a fluttering beat gives rise to our first encounter with bass. There is an impactful solemnity to this triangle. It would seem to allude to an ancient past in which the mind was a force of nature—was, in fact, nature incarnate—and needed only blink to find its meal. Virelles brings an astonishing level of detail to the keyboard in this space. His smallest gestures move mountains. The split bassing of “Transmission” later in the set reveals even more such gestures, each the messenger of an underlying pulse. The splash of hard-won pianism that intros “Biankoméko,” too, lends gravity to the subtlest shadows. At the same time, it’s a sound that stirs the waters until ancestral currents are released, shaping rock and soil by the scraping of divine fingernails. The rhythmic waterfall of “Antillais (A Quintín Bandera)” allows Gilmore to unleash the most mindful color he has to offer, while “Aberiñán y Aberisún” clears a path for Díaz to sing. Although his voice recedes as quickly as it emerges from the surrounding forest, his ripple effect is such that all notions of unity are forever altered. This welcoming of spirit slips behind the unopened eye, leaving the sunrise bereft of reflective surface. In its place, the lush flora of “Seven, Through The Divination Horn” stretch their unbreakable vertebrae in the dawn, warm and acknowledged. “Stories Waiting To Be Told” gives us Virelles the Storyteller. The dream-walk of his inaugural solo lays a jagged, horizontal path, intersecting the vertical with sprawling rhythms and winding improvisations: the inhale to the others’ exhale. In light of this, giving praise to “The Highest One” paints not in upward but inward strokes. It is the opening of self to the selfless, or of the known to the unknown, as in the 40-second track, “Èfé (A María Teresa Vera),” that closes this ceremony as it began, our brothers of the keys and the drum pulling the already and the yet-to-be into the now. Abakuá initiates praise the Divine Voice. For them, sound is a sacred energy to be worshipped. Its highest leaders carry memory of the Voice within. Such responsibility is written in the energy of belonging. It bespeaks a love of private knowledge, an affirmation that just because one is relegated to the margin doesn’t mean one can’t also redefine that margin as its own territory. Mbókò is thus a record of the peacekeeper, of the knowledge-bringer, of the one who holds a mirror to the world as the surest way of preserving it.